With the presidency on the line, it’s the well-documented tendency of many voters in a state filled with sunshine and distractions to shrug at election days. 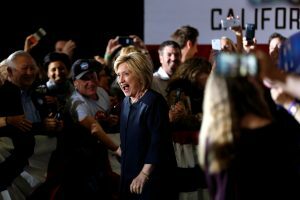 And Southern California, a base of support for Hillary Clinton, has a notoriously uneven record when it comes to voter turnout. “Most people know in their gut that Hillary is the most experienced,” says LaVaccare, a 47-year-old health care consultant and political fundraiser who is organizing volunteers for Clinton in the fiercely contested 28th Congressional District in Los Angeles County. 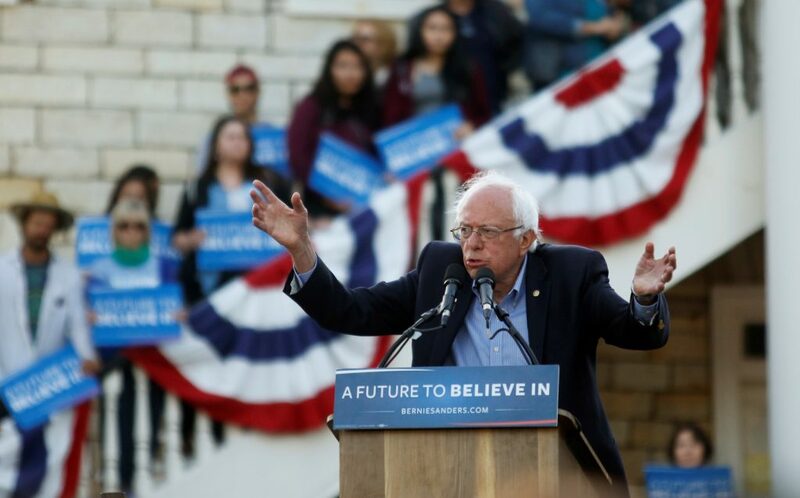 While Clinton needs a mere 71 delegates from several states voting on June 7 to claim the Democratic nomination, the fight against rival Bernie Sanders in California has grown increasingly contentious as the Vermont senator gains in polling. Both campaigns are counting on unheralded volunteers like LaVaccare to rouse their supporters. But there is scant glamour in the operational innards of a campaign, grinding far from the stage lights and clamoring crowds of campaign rallies, in living rooms, on street corners and spartan leased offices. It’s there where volunteers armed with computerized data punch in phone numbers to talk with potential voters, or sweep through neighborhoods knocking on door after door. In California, 475 Democratic delegates will be divvied up on election day, the most of any state. Many will be doled out based on the outcome in 53 congressional districts, each amounting to its own battleground, like the 28th, an ethnically diverse, Democrat-rich territory running from the tony Hollywood Hills into the suburban sprawl of Burbank, a Los Angeles suburb. Her wishful thinking turned to reality, and as the Vermont senator tries to engineer what would be his biggest upset the campaign organizer is leading a corps of volunteers in Burbank. “It’s fun to go to a rally, but attending every rally is not going to get Bernie Sanders elected,” says Kellerman, whose neighborhood crew visited 260 homes on a recent weekend. In the 2008 Democratic presidential primary, Clinton ran up a landslide margin in the 28th District. The Sanders gambit: parlay a surge of new, younger voters who polls show lean to the Vermont senator into a win, or strip away crucial delegates from Clinton that he will bring to the party’s convention. Underscoring the stakes, Clinton has had LaVaccare and other volunteers at work in the district for months. Hollywood for Hillary, as it’s known, has grown into a small army of up to 400 people, whose members have gathered at least 15 times to make phone calls and are knocking on doors in places like Los Angeles’ Silver Lake neighborhood. You can hear the urgency in the candidates’ own words, who’ve been calling on supporters to turn out in record numbers. Campaigning Wednesday in Spreckels, in the state’s vast agricultural midsection, Sanders noted that Clinton and her husband, former President Bill Clinton, are devoting several days to campaigning in the state in the run-up to the primary. “I wonder why Secretary Clinton and her husband Bill are back in California? I thought we had lost and it was all over,” Sanders told reporters, with a dollop of sarcasm in his voice. A look at Clinton’s campaign’s events in the Los Angeles area provides a peek at the campaign’s strategy, which relies in part on driving up her margins with Hispanics, women and Asians: Women to women phone calls; Koreans for Hillary, Day of Action; Latino to Latino phone calls. The campaigns are fighting over voters like Guerin Piercy, 29, an actress and registered Democrat from Burbank who says the choice between Clinton and Sanders has been difficult. The fight for votes in California is being waged in places like a union office in Los Angeles, where Clinton supporters make phone calls beneath a U.S. flag and a homemade “I’m with Hillary” poster, or a folding table on a bustling commercial strip in Burbank, where Kellerman, the Sanders organizer, works to register voters. Campaigns employ a host of ways to reach voters — ads can be sent to Facebook pages, for example. They typically stockpile data to suss out voter preferences that can range from registration information to details on their last shopping trip, which can be clues to political leanings. They constantly track mail-in ballots, so they know who’s voted and who hasn’t. Both campaigns have an eye on newly registered voters who this spring will exceed 2 million, more than double the level for the same period in presidential elections in 2008 and 2012, according to research firm Political Data Inc.
“It becomes very critical to not only convince voters to be for you, but also to do everything you can to get them to got to the polls. That’s a big deal,” says veteran Democratic consultant Bill Carrick, who is not aligned with either campaign. Kellerman, 41, an executive assistant for a marketing company, says she tries to avoid looking at the up-and-down poll numbers. And she’s learned not to be discouraged if someone isn’t interested in talking presidential politics. Ken Thomas reported from Spreckels, California.